6901. “Verne E Hoisington,” Find-A-Grave, https://www.findagrave.com/memorial/15187102, 15187102. 6902. “Helen M Hoisington,” Find-A-Grave, https://www.findagrave.com/memorial/15187100, 15187100. 6903. Gunder Iversen, “Norway Baptisms, 1634-1927,” March 18, 1830, https://www.familysearch.org/ark:/61903/1:1:NW59-LBM. 6904. “Malena Ellingson,” Find-A-Grave, https://www.findagrave.com/memorial/47658152, 47658152. 6905. “Elling Ellingson,” Find-A-Grave, https://www.findagrave.com/memorial/47658206, 47658206. 6906. 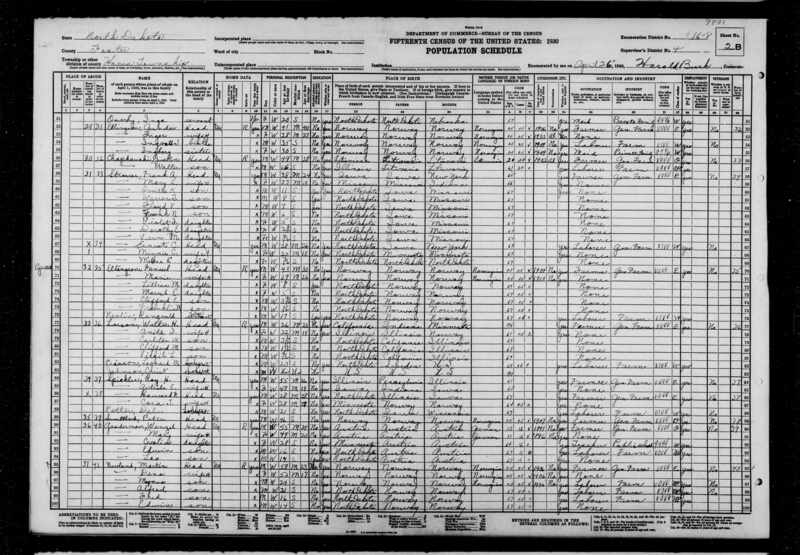 “North Dakota Census,” 1915, ND, Foster, 91, State Historical Society of North Dakota. 6907. 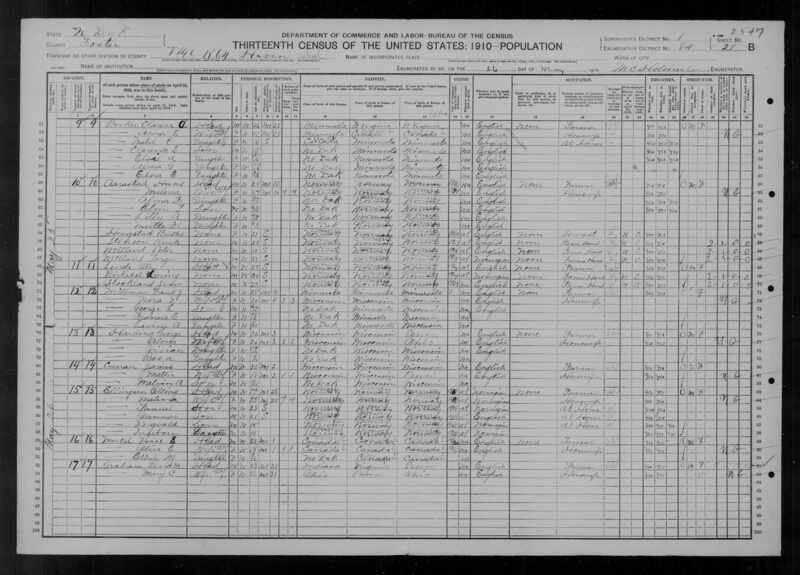 “United States Census,” 1910, ND, Foster, Haven, 2B, 1, 84, T624, 2547, 133, Bureau of the Census, US Dept. of Commerce, United States of America, May 26, 1910, M C Holcomb. 6908. Ellingson, Ingvald, World War I, 1917, ND, 11, “United States World War I Draft Registration Cards, 1917-1918,” June 5, 1917, Haven, Foster County, ND, https://www.familysearch.org/ark:/61903/1:1:K6ZV-FMS. 6909. 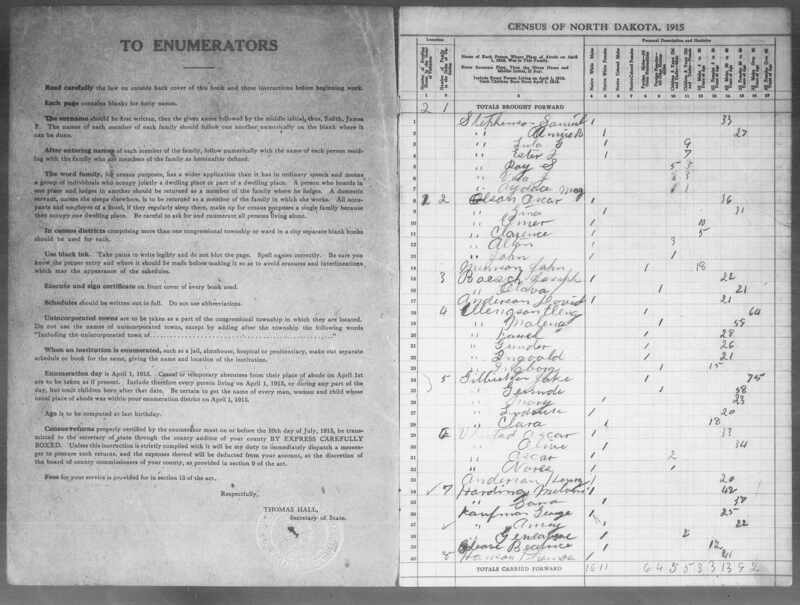 “United States Census,” 1920, ND, Foster, Haven, 5A, 2, 119, T625, 1821334, 496, 121, Bureau of the Census, US Dept. of Commerce, United States of America, January 20, 1920, Ernest E Petrich. 6910. “Ingvald T Ellingson,” Find-A-Grave, https://www.findagrave.com/memorial/47658218, 47658218. 6911. “Fanuel Ellingson,” Find-A-Grave, https://www.findagrave.com/memorial/47658501, 47658501. 6912. “Marie Ellingson,” Find-A-Grave, https://www.findagrave.com/memorial/134299277, 134299277. 6913. “Clifford A Ellingson,” Find-A-Grave, https://www.findagrave.com/memorial/108409506, 108409506. 6914. “Gunder Ellingson,” Find-A-Grave, https://www.findagrave.com/memorial/47658537, 47658537. 6915. “Ingeborg Ellingson,” Find-A-Grave, https://www.findagrave.com/memorial/52142024, 52142024. 6916. “Inger Ellingson,” Find-A-Grave, https://www.findagrave.com/memorial/47658555, 47658555. 6917. “Deaths,” Ingeborg Ellingson, The Bismarck Tribune, Bismarck, ND, October 8, 2001, 11. 6918. 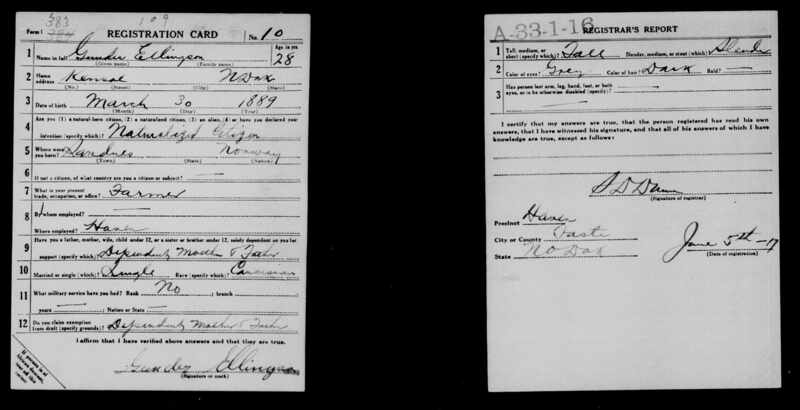 Ellingson, Gunder, World War I, 1917, ND, 10, “United States World War I Draft Registration Cards, 1917-1918,” June 5, 1917, Haven, Foster County, ND, https://www.familysearch.org/ark:/61903/1:1:K6ZV-FM9. 6919. 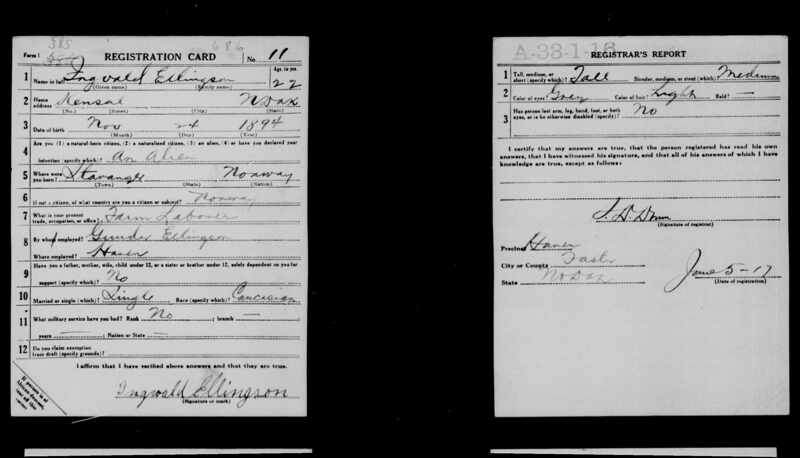 Ellingson, Fanuel, World War I, 1917, ND, 9, “United States World War I Draft Registration Cards, 1917-1918,” June 5, 1917, Haven, Foster County, ND, https://www.familysearch.org/ark:/61903/1:1:K6ZV-XT2. 6920. 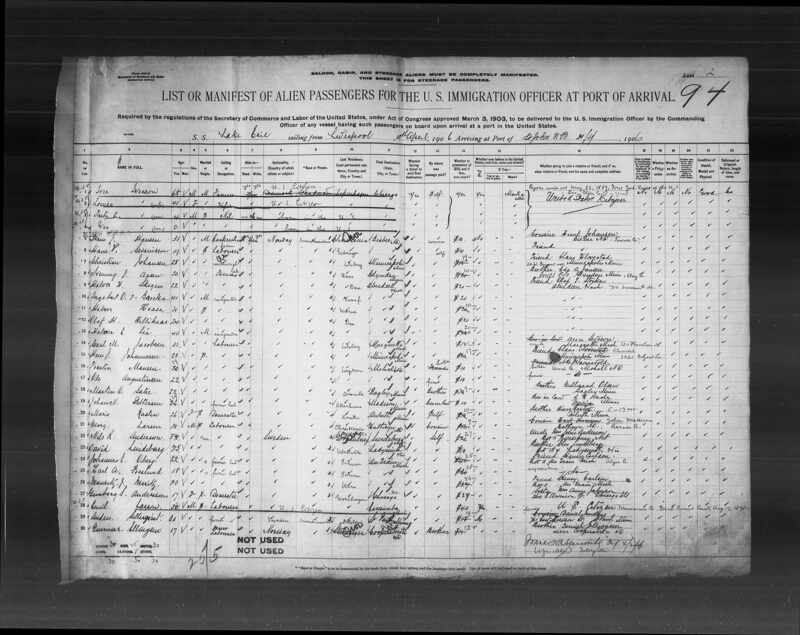 Gunnar Ellingson, “Vermont, St. Albans Canadian Border Crossings, 1895-1954,” April 21, 1906, St John, NB, Canada, https://www.familysearch.org/ark:/61903/1:1:QK3Y-W5W2. Ship SS Lake Erie sailing from LIverpool on April 10, 1906, arriving at port of St John N.B. on April 21, 1906. 6921. 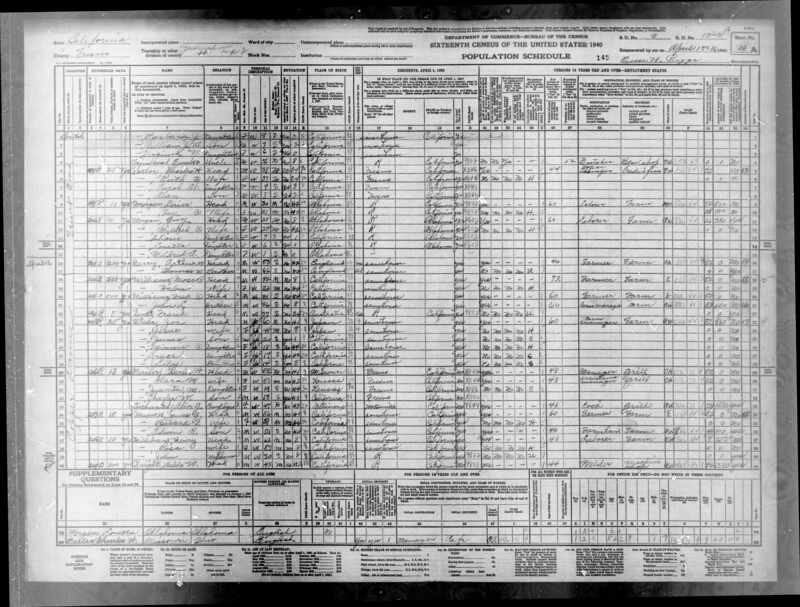 “United States Census,” 1930, ND, Foster, Haven, 2B, 4, 16-8, T626, 2341469, 530, Bureau of the Census, US Dept. of Commerce, United States of America, April 26, 1930, Harold Burk. 6922. 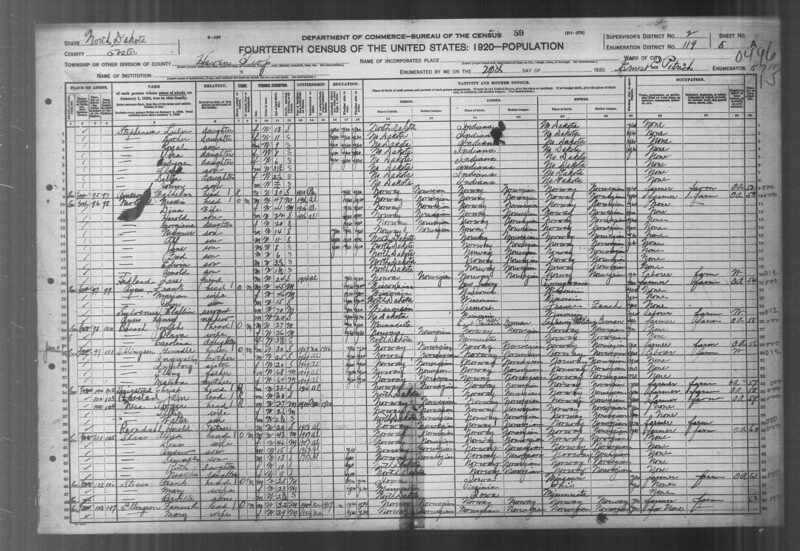 “United States Census,” 1940, ND, Foster, Haven, 2B, 4, 16-10, T627, 5462051, 123, Bureau of the Census, US Dept. of Commerce, United States of America, April 22, 1940, Ina Jensen. 6923. “Gerhard Mandroph Ellingson,” Find-A-Grave, https://www.findagrave.com/memorial/106217904, 106217904. 6924. “Dennis R Ellingson,” Find-A-Grave, https://www.findagrave.com/memorial/47658563, 47658563. 6925. Glenfield History 1886-1987, 156, http://www.webfamilytree.com/Glenfield_Centennial/...lingson_pedersen.htm. Gordon Leo Pedersen, son of Andrew and Pauline Sorensen Pedersen, married Lillian Ellingson, daughter of Fanuel and Marie Stangeland Ellingson on October 11, 1946. Gordon's brothers and sisters are Albert, Carl, Inger Hutchinson and Elvira Gussiaas all of Carrington, North Dakota, and Edith Johnson of Juanita, North Dakota. Lillian's brothers and sisters are Marvel Lindstrom, Clifford, Franklin and Elroy Ellingson, all with Glenfield, North Dakota, address. Gordon Pedersens purchased their farm, which is on section 27 Rolling Prairie from his father. The Pedersens are active in their community. Their son Mark, farms their land besides his own. They had six children: Sherman is a mechanic in Mandan. Corrine lives in Pound, Wisconsin, and married Durrand Bell September 26, 1974. Their children are Elijah, Enoch, Moses, Isaiah and Hannah. Kendal is a pharmacist in Anchorage, Alaska. Mark farms and married Marsha Hoffman December 20, 1974. Their children are Tricia, Andrew and Ryan. Kevin is a mechanic for John Deere in New Rockford. He married Virginia Zimprich April 28, 1979. Their children are Derek, Lisa and Carla. Sheila has her own shop for His and Hers for Hair in Valley City, North Dakota. She married Maynard Flatt December 6, 1985. Maynard farms near Pillsbury. 6926. “Obituaries,” Clifford Ellingson, http://www.evansfuneralhomend.com/EllingsonClifford.htm. Clifford Ellingson, age 86, of Glenfield, ND, died Thursday, April 11, 2013, at Sanford Health in Fargo, ND. Clifford A. Ellingson was born on June 10, 1926, the son of Fanuel and Marie (Stangeland) Ellingson at Cooperstown, ND. He grew up and lived on the family farm near Glenfield. In June of 1952, Clifford was inducted into the US Army and served in Korea. He was Honorably Discharged in June of 1954. Clifford returned to the family farm and farmed there until his retirement in 1999. He was a member of Gideons International, Prairie Faith Lutheran Church in Glenfield, served 31 years on the Board of Directors at Lutheran Home of the Good Shepherd in New Rockford, ND, served as Haven Township Treasurer for many years, and was James River Cemetery Sexton. Clifford was excellent at woodworking. He built cabinets, roll top desks, and clocks along with many other items such as children’s toys, lamps, candle holders, and puzzles. Also, Clifford really enjoyed African violets and had over a dozen plants he faithfully cared for. Clifford is survived by two sisters, Lillian Pedersen, Carrington, ND and Marvel Lindstrom, Glenfield, ND; two brothers, Franklin (Jean) Ellingson and Elroy (JoAnn) Ellingson, both of Glenfield; and 12 nieces and nephews. He was preceded in death by his parents; two brothers-in-law, Gordon Pedersen and Glenn Lindstrom; one sister-in-law, Marlys Ellingson; and one niece, Malina Ellingson Larson. 6927. “Gordon L Pedersen,” Find-A-Grave, https://www.findagrave.com/memorial/109671979, 109671979. 6928. “Obituaries,” Gordon Pedersen, The Bismarck Tribune, Bismarck, ND, November 22, 2006, 9. CARRINGTON—Gordon Pedersen, 91, Carrington, died Nov. 20, 2006, at Golden Acres Manor, Carrington. Services will be held at 10:30 a.m. Saturday, Nov. 25, at Trinity Lutheran Church, Carrington. Interment will be in James River Cemetery, rural Carrington. 6929. “Malina Joy Larson,” Find-A-Grave, https://www.findagrave.com/memorial/83107239, 83107239. 6930. “Obituaries,” Mark Edward Reitmeier, The Bemidji Pioneer, Bemidji, MN, March 11, 2018, http://www.bemidjipioneer.com/obituaries/4415854-mark-edward-reitmeier. Mark Edward Reitmeier, 31 of Bemidji, MN, passed away on February 26, 2018 at his home in Minneapolis, MN. He was born on February 16, 1987 in Bemidji, MN to Timothy Reitmeier and Valerie (Watson) Ras. A memorial celebration of Mark's life will be held at First Baptist Church, 1555 Paul Bunyan Dr. NW, Bemidji, MN 56601 in Bemidji on Saturday, April 7, at 1:00 pm. All are welcome to attend. Mark grew up in Bemidji where he attended school and was baptized and confirmed as a member of Calvary Lutheran Church. He was a man of many talents; he excelled on the skateboard, played the violin, and although not formally trained in music, he could play the drums and piano by ear and loved to sing and dance. Mark loved to fish and fix things; he would cobble together hoarded parts to make repairs and would create useful items for everyday life. He was involved in Tae Kwon Do in his younger years and was awarded several trophies and ribbons in tournaments. Mark held a passion for people and cared deeply for those in need and would reach out to them by simply starting friendly conversations or making sure the homeless were fed. He volunteered at the homeless shelter in Bemidji in his mid-teens and greatly enjoyed that time; that was his heart. Along with Mark came his crazy and silly sense of humor; he lived for making people laugh and always made sure everyone was having a good time. He worked hard at everything he did and accomplished many good things. Shortly after High School, Mark moved to California for a brief period of time where he pursued his skateboarding a little more seriously. He was actually sponsored and was so proud of that. He then moved to Duluth, MN in 2006 and worked at Customer Link where he met his wife Virginia (Gigi) Hudson. They were married in Duluth on September 25, 2010. Together, their creativity for special occasions were always over the top, enthusiastically thought out and cherished by all. They welcomed three beautiful children into their family: Caden Isaiah (8),Kevin Josiah (6) and Kalise Renee (4). Mark loved his wife and children very much; he prided himself on being a good father and played with his children often as he was a big kid at heart. Mark committed his life to the Lord and was re-baptized at the Vineyard Church, Duluth. He loved the Lord and demonstrated that by wanting to share his faith and encourage others who seemed to be struggling with issues in their lives. Mark moved his family to ND for 8 months while he worked on the oil rig there, he was very proud about that. In 2012, Mark and his family moved back to Bemidji and he worked for the ODC as a job coach and fell in love with the relationships that he had developed there. He was an active AWANA leader for First Baptist Church and was a true role model for the children there who loved him. He attended NWTC where he pursued a career in HVAC/Plumbing. In 2017, Mark and his family moved to Minneapolis, MN where he began working as a facility maintenance manager at The Arrows overseeing over 50 units, putting his fixer-upper abilities to good use. Mark will be remembered for the love he had for his wife and children along with his family and friends. He was a dedicated worker and always wanted to contribute good into the world. He will be sadly missed and was loved by many. Few could hug as this man could, so warm and secure. Mark is survived by his wife, Virginia Reitmeier, sons Caden and Kevin Reitmeier, daughter Kalise Reitmeier of Minneapolis, MN. Parents Timothy (Sandra) Reitmeier of Wilton, MN and Valerie (Lauren) Ras of Bemidji, MN. Brother Matthew (Nadeana) Reitmeier of Mt. Iron, MN, sister Sarah (Romell) Bennett of Bagley, MN. Step brother Eric Nordlum of Bemidji, step sisters Christa Nordlum of New Brighton, MN, Laura Tenney and Anna (Mike) Nordlum of Bemidji, MN. Special grandparents Judy and Wendell Webster of McIntosh, MN, maternal grandfather Richard Watson of Mahtowa, MN and many aunts, uncles, nephews, nieces and cousins. He is preceded in death by his paternal grandfather, Charles Reitmeier, paternal grandmother, Doloris Reitmeier and maternal grandmother, Claudette Watson, and cousin, Kevin Reitmeier. 6931. “William J Dawson,” Find-A-Grave, https://www.findagrave.com/memorial/37959379, 37959379. 6932. “Dorothy A Dawson,” Find-A-Grave, https://www.findagrave.com/memorial/37959375, 37959375. 6933. 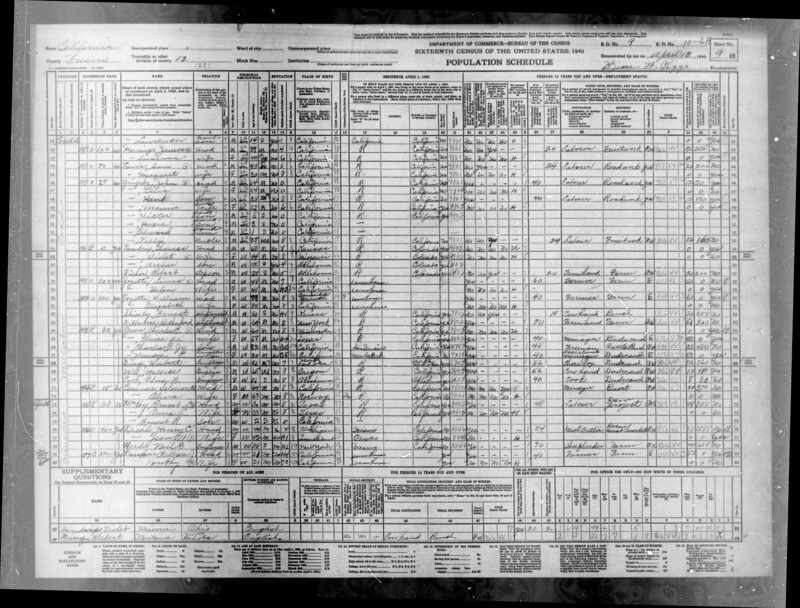 “United States Census,” 1940, CA, Fresno, Judicial Township 2, 9B-10A, 9, 10-6A, T627, 5455027, 294, Bureau of the Census, US Dept. of Commerce, United States of America, April 15, 1940, Besse W Riggs. 6936. William J Dawson and Bernice L Hessler/Anderson, “California Marriage Index, 1960-1985,” July 24, 1971, Fresno County, CA, https://www.familysearch.org/ark:/61903/1:1:V6JP-XJD, https://www.familysearch.org/ark:/61903/1:1:V6J9-11B. 6937. William J Dawson and Bernice L Hessler, “California Divorce Index, 1966-1984,” April 1972, Fresno County, CA, https://www.familysearch.org/ark:/61903/1:1:VPRT-FHQ. 6941. “Ruth Bernaden Whitney Noren,” Find-A-Grave, https://www.findagrave.com/memorial/13151121, 13151121. 6943. “Harry A Noren,” Find-A-Grave, https://www.findagrave.com/memorial/183022821, 183022821. 6944. “Janet Bible Noren,” Find-A-Grave, https://www.findagrave.com/memorial/183022765, 183022765. 6945. “Matthew Kuykendall,” Find-A-Grave, https://www.findagrave.com/memorial/108026867, 108026867. 6946. “Rebecca Kuykendall Draper,” Find-A-Grave, https://www.findagrave.com/memorial/87213801, 87213801. 6947. “Ridley Draper,” Find-A-Grave, https://www.findagrave.com/memorial/65605706, 65605706. 6948. “Oliver Newton Draper,” Find-A-Grave, https://www.findagrave.com/memorial/64944474, 64944474. 6949. “Mary Olive Cummins Draper,” Find-A-Grave, https://www.findagrave.com/memorial/64944472, 64944472. 6950. “William Gilbert Draper,” Find-A-Grave, https://www.findagrave.com/memorial/57158776, 57158776.